Uh Huh Her perform during the Keep-A-Breast Tour at The House of Blues (Hollywood). It all started in 2000 by Shaney jo Darden and Mona Mukherjea-Gehrig with the simple idea to raise awareness to young people about breast cancer and the importance of early detection and prevention education. They called it The Keep-A-Breast Foundation and launched education and awareness programs across the nation using art and artistic expression to inform our youth. 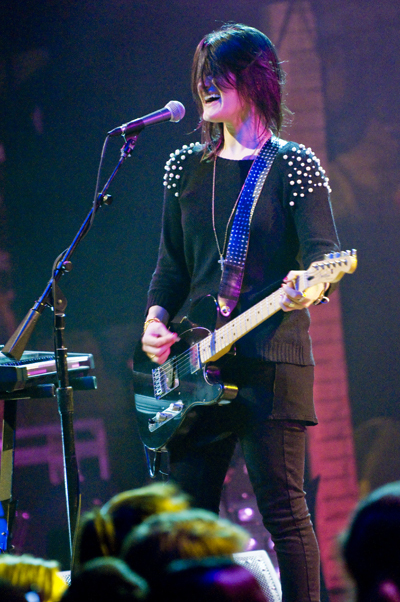 Leisha Haileyof Uh Huh Her performs during the Keep-A-Breast Tour at The House of Blues (Hollywood). 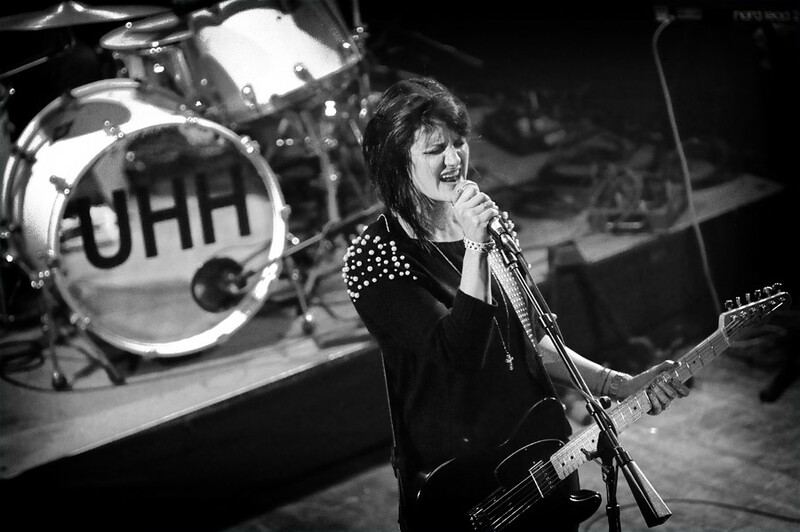 In what has been a busy year so far for Uh Huh Her, touring most of the spring and summer to sold-out shows across the country, Uh Huh Her didn't think twice when they were asked to take part in the first ever Keep-A-Breast Music Tour. The tour, which began last month -- the official National Breast Cancer Prevention Month -- stopped by the House of Blues Tuesday night to a sold-out venue. 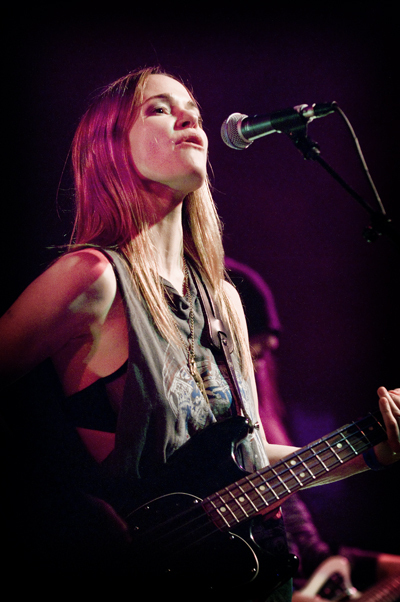 The packed crowd, there to see electro-pop duo Leisha Hailey and Camila Grey, were treated to over an hour and a half set, mostly performing songs from their newest album, Nocturnes. 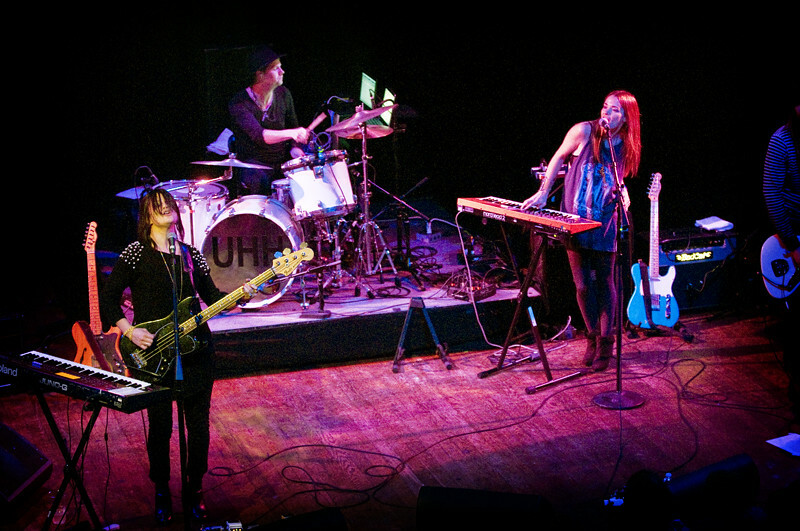 Uh Huh Her, injects their second full-length album, released last month, with cascading synths, manicured guitars and throbbing beats. It's 11 tracks of pure sonic candy. "Another Case" and "Marstorm" are electro-rock standouts while songs like "Debris" slows it down to a tranquil, hypnotic ballad. Since it's release, Nocturnes has already been receiving rave reviews. The LA Weekly describes the album as "...a combination of against-the-grain grit and pop ambition that live, delivers a little snarl and a lot of swoon." You can download their new album on iTunes right HERE and check out their new video for "Another Case" off their new album Nocturnes below. 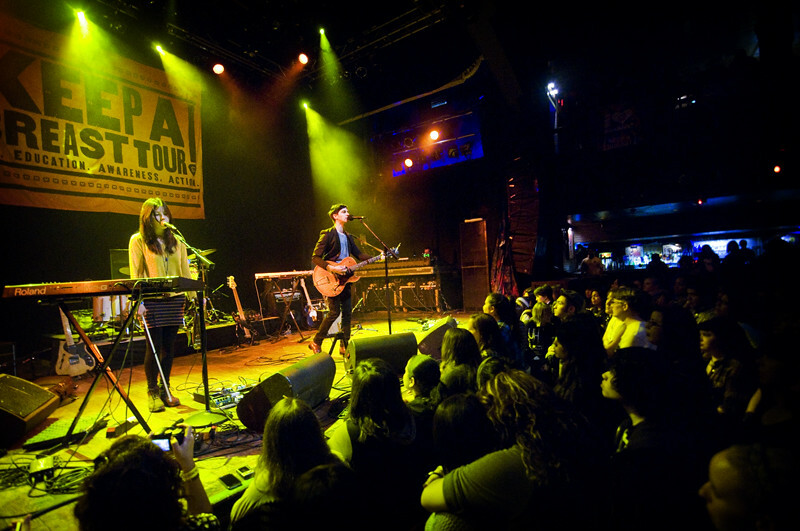 Jarrod Gorbel and Dre Babinksi perform during the Keep-A-Breast Tour at The House of Blues (Hollywood). Earlier in the night, Brooklyn-ite swooner Jarrod Gorbel opened the show with a melodic set of warm harmonies with gle aming string arrangements from Dre Babinski. I'm his newest fan. 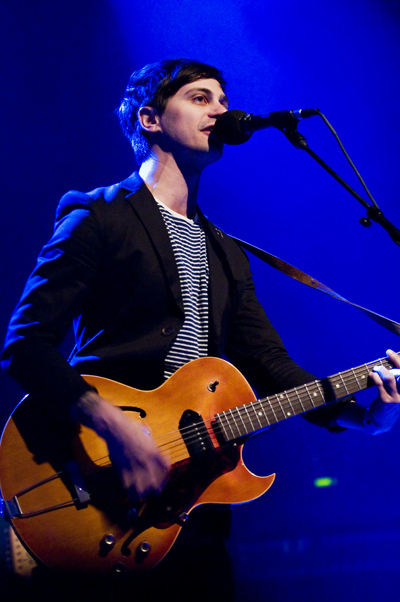 From his vulnerable vocals to his simple yet suffering melodies, his songs are like a breath of fresh air. Listen to "Ten Years Older" or "I'll Do Better" and you'll be hooked too. "Optimism" from his 2009 EP Ten Years Older is also a classic. Gorbel who recently announced he was going on tour supporting Dashboard Confessional beginning November 17th in Chicago just released his newest album Devil's Made a New Friend. And he also announced he'll soon be a Angelino, moving from his hometown of Brooklyn to the city of angels. Their loss is our gain. We'll welcome him with open arms. The Keep-A-Breast Tour ends this weekend with stops at Vancouver's Venue and on Sunday in Portland's the Wonder Ballroom. "Miserable Without You" with Jarrod Gorbel and Dre Babinski at House of Blues (Sunset Blvd. ).